Playing piano and singing professionally since age 12, Tony Bowman studied music at the University of Miami, and has performed with Bill Medley (The Righteous Bros.), Wolfman Jack, Percy Sledge, and Edgar Winter, and others. 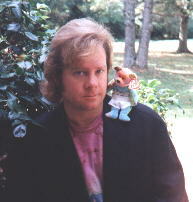 After years as a successful session player/singer in Los Angeles and Nashville, Tony (with his wife Ronda) returned home to Chapel Hill, North Carolina, home base for Tony's own group Cat Baby. His song My Old Summertime is featured on the R&B CD Sand & Soul, Vol. 1 (Hive Records). A complete woodwind artist, David Hill is accomplished on all the saxes, flutes, clarinets, oboe & english horn, recorder, tin whistles, and the kitchen sink if you could put a reed on it. 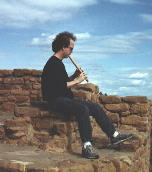 Dave is equally at home with modern classical and straight-ahead jazz, R&B and blazing rock'n'roll, Brazilian, Celtic, and other world music styles. Dave has performed with Kenny Rogers, The Manhattan Transfer, Melissa Manchester, The Four Tops, Glenn Close, the Pacific Symphony, and many others. In his spare time, Dave teaches Yoga. The Los Angeles Times says Mark Massey is "at home improvising fluid lines no matter what the vehicle... a rich, yet equally twisted approach..." He has performed with Larry Carlton, David Benoit, Freddie Hubbard, Paul Horn, Hubert Laws, Stéphane Grappelli, Louie Bellson, Phil Upchurch, Yehudi Menuin, Poncho Sanchez, Tony Williams, Maynard Ferguson, and many others. Mark has completed his Bachelors and Master of Music degrees in Composition from California State University, Long Beach. 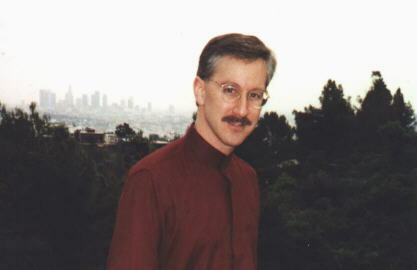 Visit Mark's homepage at www.geofonica.com/markmassey. 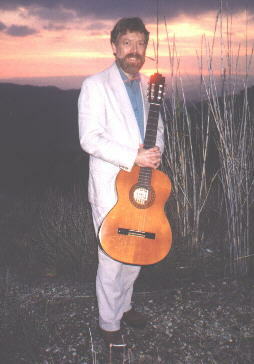 Brad Powell began learning guitar at age ten, and at fifteen became a student of jazz guitarist Joe Pass, later studying classical guitar from Vincent Macaluso and composition under David Rose. Brad was featured at the Hollywood Bowl performing Gerald Wilson's Sonata for Guitar & Orchestra (conducted by the composer), and he has composed for film & TV (including music for Hill Street Blues, working with Mike Post). Brad has hiked the John Muir Trail & Mt. Whitney in the Sierras, and rafted the Grand Canyon. Now he likes to hike with his dog Timber Wolf. 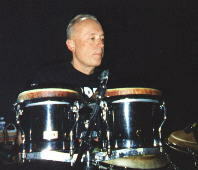 Percussionist-vocalist Kurt Rasmussen has worked with Sergio Mendez, Paul Anka, Poncho Sanchez, Bill Medley, Brazil Nuts, and many other artists. His TV & film soundtracks include St. Elsewhere, Hill Street Blues, Sam Spade, Street Asylum, and many more. Kurt is a master of rhythm and color, and his repertoire includes classical percussion, as well as Afro-Cuban, Brazilian, and other world styles. 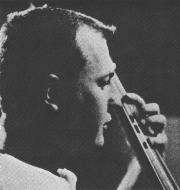 In fact, his percussion work has taken him around the world several times. 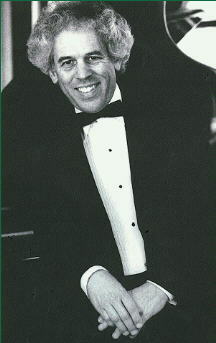 Paul Seaforth has performed in concert halls around the world, with artists such as Dizzy Gillespie, Dash Crofts, Eric Marienthal, George Graham, Jamie Findlay, Buddy Childers, Vic Damone, and Pat Boone. Along with trumpet, piccolo trumpet and flugelhorn, Paul plays a mean sax and has a voice that soars! 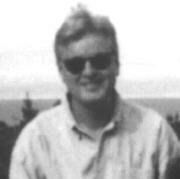 Professor Paul (with a Master of Music degree in Trumpet Performance from UC Irvine) also teaches college music in San Diego. Allison Zuehlsdorff first performed in public at age four, the youngest of the singing VonTrapp family in a production of The Sound of Music. While growing up, she played violin and sang, later earning her Bachelor of Music degree from CSU, Long Beach, where she performed with the University Symphony Orchestra, Choir, Jazz Vocal Ensemble, and CSULB alumni Karen and Richard Carpenter. 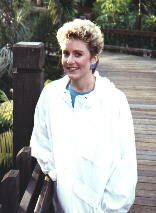 Allison has been a guest vocalist on many Christian albums, as well as leading her own band Starfire. Allison's priorities now are singing music that reflects her love for God, and raising her family. Lincoln Mayorga has performed with orchestras around the world, including his much-acclaimed live CD performance of Gershwin's Rhapsody In Blue with the Moscow Philharmonic Orchestra. Lincoln was featured in the movie soundtrack The Competition starring Richard Dreyfus and Amy Irving. Lincoln's many albums on the Sheffield Labs label are among the finest in direct-to-disk and high fidelity piano recordings. For more info, visit Lincoln Mayorga's homepage. A leading figure in contemporary saxophone, Brandon Fields is featured performing the alto sax solo on Robbie Bop. Brandon has performed and/or recorded with Kenny Loggins, Tower of Power, The Rippingtons, Al Jarreau, George Duke, Stanley Clarke, Boz Scaggs, Buddy Miles, Doug Cameron, Tony Guerrero, and a host of others. Brandon has several albums of his own, including Brandon Fields, A Coffeehouse Christmas, and The Other Side of The Story. Chad Wackerman has been on the forefront of modern drumming for over fifteen years. His work with Frank Zappa (over a dozen albums), Barbara Streisand (One Voice concert & album), guitarists Allan Holdsworth and Andy Summers, Men At Work, and others, have established Chad as a drummer's drummer. Chad played drums in the house band on the Dennis Miller Show and he has recently worked with John Tesh. Chad has two albums: The View and Forty Reasons on CMP records. 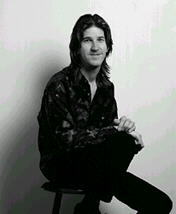 For more info, visit Chad Wackerman's homepage. Trumpeter Wayne Bergeron is featured on First Step In A Long Journey, Chasing A City Dream, as well as playing throughout the album (including flugelhorn and piccolo trumpet). 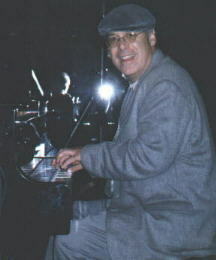 His extensive credits include The Brian Setzer Orchestra, The Maynard Ferguson band, Diane Schuur, Grant Geissman, Joe Cocker, Eric Marienthal, Anita O'Day, Rosemary Clooney, and Neil Diamond, as well as numerous major motion picture and television soundtracks. Cellist Melissa Hasin is featured on Do You Feel What I Feel? Melissa is a gifted and versatile cellist, at home playing Ludwig von Beethoven, Count Basie or Chuck Berry. In addition to her symphonic work, Melissa has recorded and/or performed with Barbara Streisand, Elton John, Robert Plant & Jimmy Page, John Tesh, No Doubt, Chynna Phillips, Tori Amos, and many others. 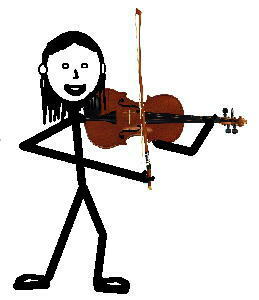 Violinist Jim Sitterly is the other half of the string duo on Do You Feel What I Feel? AKA: Doc Sitterly, he has earned a PhD in Music from USC, and plays jazz violin, country fiddle, and classical violin concertos with equal aplomb and artistry. Jim Sitterly has recorded with Mason Williams, John Tesh, Real World, Sabelle, and his fiddle work has been featured on the TV show Mad About You. Acoustic bassist Jim Hughart is featured on Passalaqua, S.O.S. Blues, Culmination (The Summit), Meribeth's Paradise, and First Step In A Long Journey. A renown jazz veteran, Jim has performed and recorded with Frank Sinatra, Joe Pass, Natalie Cole (Unforgettable album), Joni Mitchell (Court & Spark), Nelson Riddle, Aaron Neville, Joao Gilberto, Tom Waits, Jimmy Bruno, John Pisano, Hall & Oates, and The Monkees, too! The extraordinary Jerry Watts plays all electric bass tracks on the album, including Robbie Bop, Sidewalk Sunday, and Chasing A City Dream. Jerry has worked extensively with Andy Summers, Brandon Fields, Keith Emerson, Yutaka (Brazasia), Wishful Thinking, L. Subramanium, Jeff Campbell, and many other contemporary artists.